Omaha, NE—Omaha Chamber Music Society’s Summer Concert Series continues this Sunday with Four Plus Four at the Omaha Conservatory of Music, featuring two string quartets. Each ensemble will perform a different piece, but they’ll come together for the final highlight performance. Interviews with Omaha Symphony Violinists, Anne Nagosky and Kevin Tompkins. Omaha, NE—Omaha Chamber Music Society’s Summer Concert Series begins this Sunday, June 10th with Brandenburg and Beethoven. The ensemble will begin with the first of Bach’s eminent Brandenburg Concerti from 1721 and will welcome the beginning of the next century with Beethoven’s Septet in E-Flat Major. Omaha, NE—The Nebraska Wind Symphony will perform their next concert of the season this Sunday, “Gardens-Flowers-Bugs.” The ensemble comprises all volunteers, but that doesn’t limit its size. 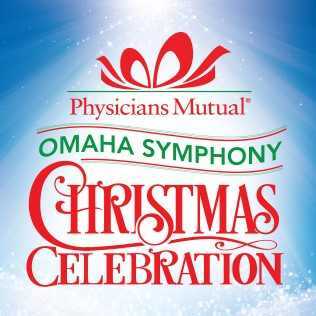 Omaha, NE—Omaha Symphony celebrates the holidays this week with their annual Physicians Mutual Omaha Symphony Christmas Celebration.